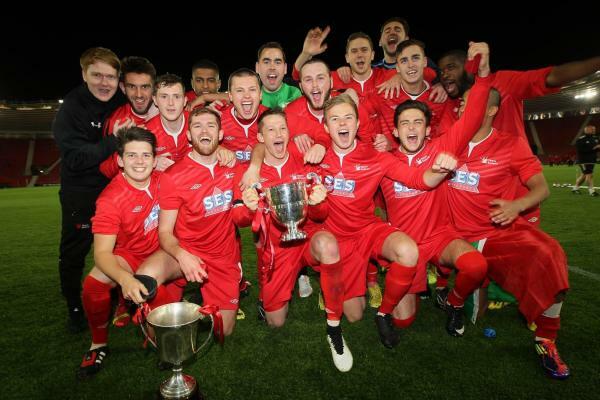 Southampton Solent University soccer team Team Solent, sponsored by SES Autoparts Ltd, beat off stiff competition to win the Hampshire Senior Cup at St. Marys 3-2 against Hamble last month. Trailing 2-1 at half time to the Hampshire Premier League Champions, former Tottenham academy player Jesse Waller-Lassen became Team Solent’s hero with two goals on the night, and put through Sam Byles to score the winner with seven minutes to go to gain a great victory. Southampton Solent University is where Lisa studied to get her BA 2-1 in Business Management before setting off on her travels around the world. SES Autoparts is Lisa’s parents’ family business, which started sponsoring Team Solent in 2013.